GCU Honors College students on a mission trip in the Dominican Republic. 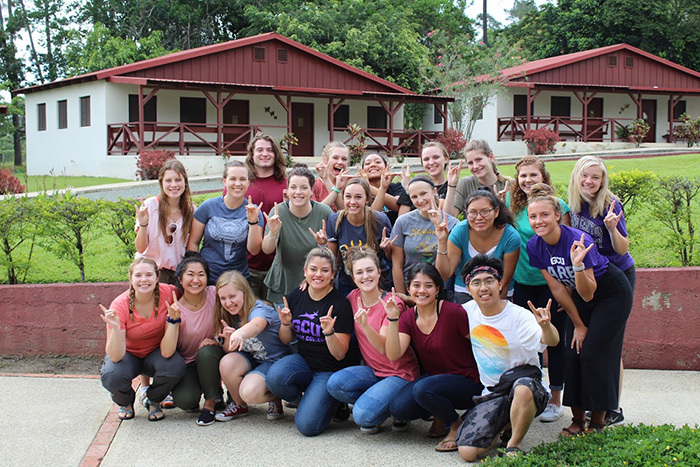 The lesson of love has taken on a whole new meaning for 23 Grand Canyon University students who returned recently from a vocational mission trip to the Dominican Republic. 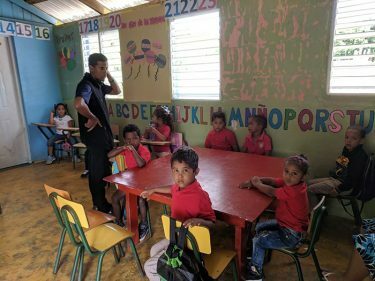 A classroom that GCU Honors College students visited on their Dominican Republic mission trip. The Honors College students spent 12 days learning from professionals in their field, but the college’s program manager, Luke Amargo, said the group’s learning spanned beyond the confines of any classroom. For example, junior Emily McKibben‘s experience with the family of a volleyball player exceeded any lesson to be learned on a court. After a night of watching the team play, the sports management major was invited to dinner at a family of five’s one-bedroom home. McKibben and the other honors students who elected to follow the sports track went to an elementary school and observed gym class. They helped with after-school activities and witnessed the Dominican’s rendition of a youth gymnastics competition. 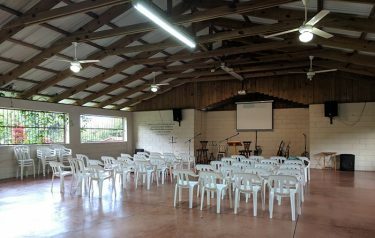 A chapel that Honors College students visited in the Dominican Republic. Maria Gonzalez, a pre-med sophomore, was able to see the medical side of middle-class life in the Caribbean country. She said her group did multiple home visits, where some injuries were severe and others were routine. Her group also observed health care from the inside of two different clinics, one tailored to impoverished communities and the other to people who could afford the care. A chapel brick that the GCU Honors College students painted. Amargo said each student on the trip received the opportunity to lead a Bible study. He said they opened their hearts to each other — and more importantly — to the community. “People who are poor, all they have is their reputation, their relationships,” Amargo said. The group frequented a chapel on their trip, outfitted with plastic chairs, ceiling fans and a couple of musical instruments. Across from the lectern, there’s a wall painted brick by brick by students who have visited the chapel on mission trips. 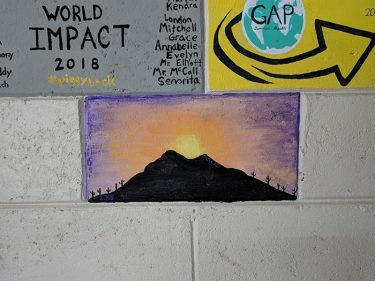 The Honors College group painted its first brick this year in its third year of visiting the Dominican Republic, immortalizing GCU at the small-town chapel. And as for the chapel’s community — well, it surely has painted itself on the students, too. Awesome job. I was in Dominican Republic on a mission trip May 26-June 1st and it was incredible. We went there to share the gospel with the people as part of a medical mission trip and I can definitely say that I gained as much from it as anyone that I was able to share the word of God with. Incredible experience, and the people are in such need and so very receptive to the medical assistance and the gospel. Truly a great experience that I would recommend to anyone that is afforded the opportunity to go and serve. What an experience! It must have been so neat to be on a missions trip. I think it would be awesome to be a part of one. Going on a missions trip is such a great learning experience for anyone.